The uber-thoughtful, talented and multi-published writer, Holley Gerth, interviewed me yesterday! She's also hosting a giveaway of my book, Inspirational Home, AND one of my product designs. 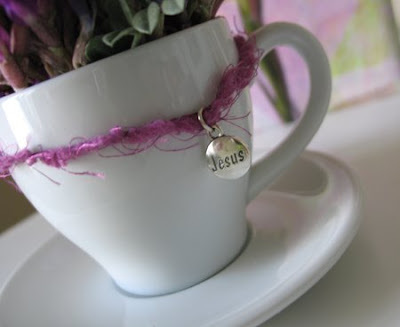 You'll also find a charming idea for some of your spring blossoms. (May Day and Mother's Day are coming up!) Thank you, Holley! I saw the interview yesterday... it was great! Glad I found your blog!! I will head over there now but wanted to say congrats! Jennifer your artwork is absolutely beautiful! Moms deserve to be queen for the day. I will have to use this idea!